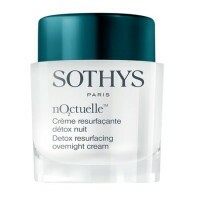 instantly boosts skin's radiance and health, infusing it with the brightening and anti-aging exclusive Sothys ™+ Complex. Brightening Mask is a creamy-rich mask with brightening complex that leaves the skin luminous, soft, and comfortable. Brighten the complexion, and increase the radiance with this comforting and soothing mask, enriched with water lily flower. Skin instantly awakens. It is brighter, softer and comfortable. Aqua (Water), Kaolin, Glycerin, Zea Mays (Corn) Germ Oil, Isononyl Isononanoate, Myreth-3 Myristate, Ci 77891 (Titanium Dioxide), Ci 77947 (Zinc Oxide), Hydroethyl Urea, Solum Diatomae (Diatomaceous Earth), Propylene Glycol, Calcium Sulfate, Ammonium Acryloyldimethyltaurate/Vp Copolymer, Dipropylene Glycol, Inulin Lauryl Carbamate, Algin, Parfum (Fragrance), Sodium Palmitoyl Proline, Xanthan Gum, Carbomer, Triethanolamine, Sodium Dehydroacetate, Potassium Azeloyl Diglycinate, Tetrasodium Pyrophosphate, Ascorbyl Tetraisopalmitate, Nymphaea Alba Flower Extract, Tetrasodium Edta, Butylene Glycol, Sorbic Acid, Niacinamide, Methylparaben, Hexyl Cinnamal, Glyceryl Acrylate/Acrylic Acid Copolymer, Chlorhexidine Digluconate, Linalool, Pvm/Ma Copolymer, Limonene, Ethylparaben, Butylparaben, Propylparaben, Isobutylparaben, Methylchlroisothizolinone/Methylisothiazolinone. Twice a week, apply to clean, dry skin. Follow with Sothys [W.]™ + Preparative Lotion.